The Hiblow HP-100 Refurbished linear septic air pump was repaired by an experienced Septic Solutions® air pump technician. Our team replaces the diaphragms, heads with air valves, air filter, and any other necessary parts to make the unit operate at factory specificaitons. 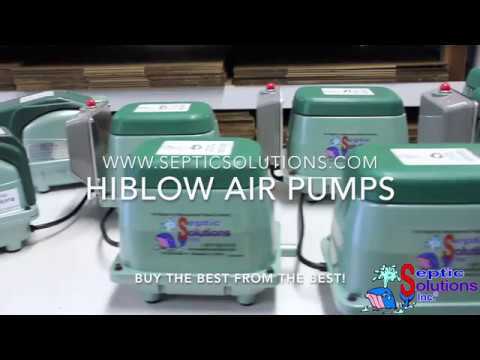 This refurbished Hiblow HP-100 septic air pump comes with a 6-Month Warranty. Replaces Hiblow HP-100-xxxx, Thomas 5100S, Secoh EL-100, Gast SPP-100, Medo LA-100 and Other 100 LPM units.